Asiad Steels is one of the renowned stockist of Monel 400 Washers, which is commonly used in marine engineering, chemical and hydrocarbon processing applications. Monel 400 Flat Washers have high tensile strength with better corrosion resistance. 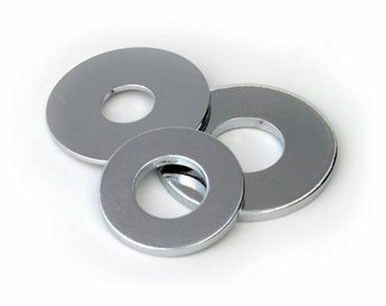 Monel 400 Machined Washers offer a low corrosion rate in salt and brackish water. 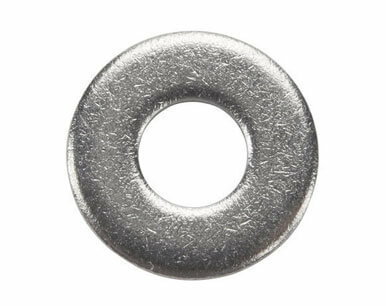 Monel 400 Punched Washers is especially resistant to hydrochloric acid and hydrofluoric acids. We have a selection of Monel 400 Round Washers that we keep in stock such as USS, SAE, and fender washer styles. We manufacture premium quality standard & customized of Monel 400 Square Washers from various metals & metal alloys as per ASTM/ASME/DIN/DIN Standards & Specifications. Monel 400 Spring Washers are manufactured using high grade raw materials procured from certified vendors. We produce all types of Monel 400 Lock Washers in almost all shapes & sizes. Monel 400 Spherical Washers is often used in Feed water and steam generator tubing, Brine heaters, sea water scrubbers in tanker inert gas systems, etc. Alloy 400 Machined Washers is most frequently applied in a range of environments going from mildly oxidizing through neutral and to moderately reducing conditions. Alloy 400 Flat Washers exhibits excellent weldability, and it is often found in marine applications such as seawater valves and pump shafts. Alloy 400 Punched Washers is also used in Chemical plant equipment, Frames for eyeglasses, Aerospace applications, Musical instruments, etc. Meanwhile, hot working on Alloy 400 Lock Washers needs to be done by choosing proper temperatures. 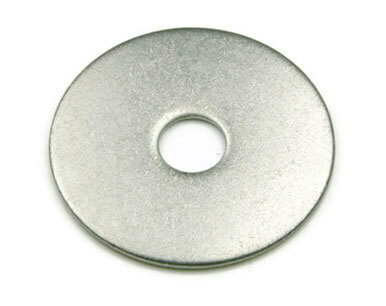 Buy Alloy 400 Washers at reasonable rates from us. We are Exporter of Monel 400 Washer in Worldwide Such as India, Canada, France, Venezuela, Taiwan, Ukraine, Thailand, Argentina, Iran, Egypt, Qatar, Jordan, Ireland, Singapore, Ghana, Turkey, Australia, Iraq, Gabon, Nigeria, Lebanon, Algeria, Germany, Mongolia, Russia, Hungary, Kenya, Belarus, Poland, Pakistan, Kuwait, Portugal, Angola, Costa Rica, Switzerland, Chile, Finland, Romania, Ecuador, Netherlands, Afghanistan, Greece, Bahrain, India, Slovakia, Colombia, Hong Kong, Bhutan, Denmark, Sri Lanka, Yemen, Zimbabwe, Macau, Sweden, United Arab Emirates, Brazil, Mexico, Azerbaijan, Norway, United States, Bulgaria, Croatia, Nepal, Oman, Chile, Peru, Gambia, Libya, United Kingdom, Spain, South Africa, Tibet, Italy, Puerto Rico, South Korea, Saudi Arabia, Malaysia, Vietnam, Bangladesh, Indonesia, Czech Republic, Kazakhstan, Morocco, New Zealand, Nigeria, Estonia, Bolivia, Belgium, Lithuania, Poland, Iran, Philippines, Trinidad & Tobago,Tunisia, Japan, Serbia, China, Austria, Israel, Mexico, Namibia. We are Suppliers of Monel Alloy 400 Washers in India Such as Mumbai, Baroda, Lagos, Sydney, Chennai, Manama, Hanoi, Courbevoie, Caracas, Kolkata, Pune, Ankara, Dammam, Milan, Riyadh, Al Jubail, Noida, Bengaluru, New Delhi, Hong Kong, Aberdeen, Port-of-Spain, Cairo, Howrah, La Victoria, Al Khobar, Nashik, Melbourne, Petaling Jaya, Atyrau, Abu Dhabi, Visakhapatnam, Hyderabad, Secunderabad, Colombo, Navi Mumbai, Jakarta, Sharjah, Algiers, Mexico City, Calgary, Jamshedpur, Geoje-si, Pimpri-Chinchwad, Ho Chi Minh City, London, Houston, Ernakulam, Rajkot, Ulsan, Bangkok, Dubai, Ranchi, Kanpur, Gimhae-si, Jeddah, Perth, Doha, Ahvaz, Chiyoda, Coimbatore, Istanbul, Jaipur, Mumbai, Busan, Tehran, Indore, Kuala Lumpur, Seoul, Ahmedabad, Brisbane, Singapore, Lahore, Bogota, Vung Tau, Toronto, Surat, Ludhiana, Gurgaon, Moscow, Dallas, Karachi, New York, Montreal, Edmonton, Madrid, Kuwait City, Bhopal, Rio de Janeiro, Los Angeles, Nagpur, Granada, Thiruvananthapuram, Haryana, Chandigarh, Santiago, Vadodara, Thane, Faridabad, Muscat.